Ryan Costello has volunteered with ConnecTeen since he was 15 and said he went in expecting to give back, but didn’t realize how much ConnecTeen would give back to him. Developing skills is one of the greatest benefits of volunteering with ConnecTeen. Ryan said he’s noticed his communications skills have improved and he’s better at talking through tough situations. But he says what has impacted him most, is his increased ability to not judge someone or make assumptions based on what they look like. 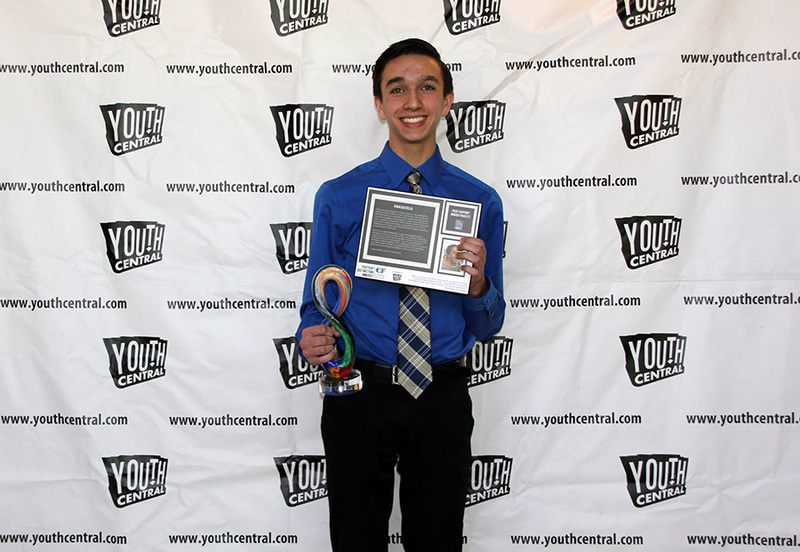 In May 2016, Ryan won the Youth Central Youth of Distinction Award in the category of Peer Support. Congratulations Ryan! Well deserved!